Heroes Con is coming up next weekend!! I’ll be at booth AA-1711 near my lovely friends Lauren Affe and Frank Barbiere and in the same block as the DeFractions (Portland represent!!) I will have some trades and single issues as well as necklaces with my original paintings inside of them. ALSO I FINALLY HAVE A BANNER! 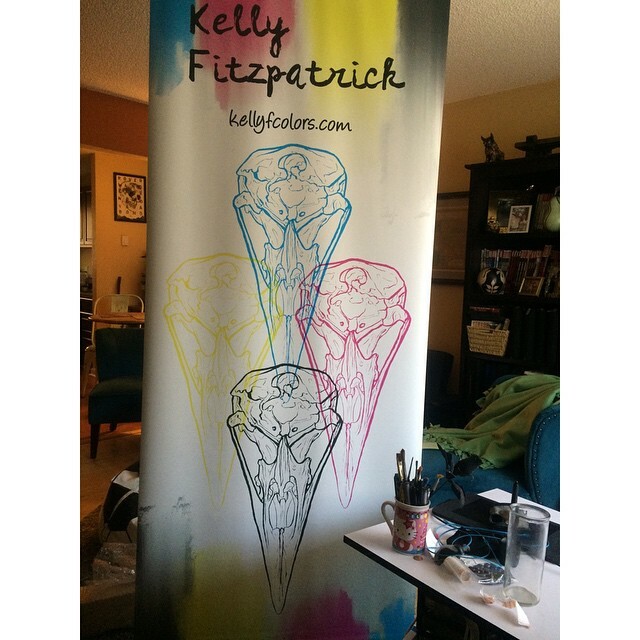 You’ll find me at CMYK crow skulls!